Renovation of swimming pool, tot pool, and pool house. 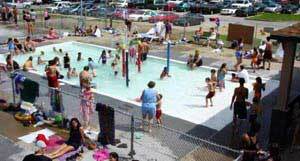 The 25 acre Northside Recreational Complex serves as the site of the Krug Park Swimming Pool, complete with pool house and concessions. The complex also features a lighted ballfield with appropriate seating, two lighted outdoor basketball courts, two horseshoe courts, two lighted racquetball courts, three lighted tennis courts, and three football fields. 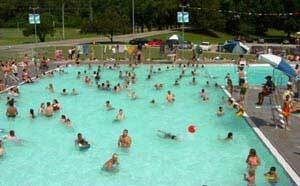 In Association with Westport Pools of Missouri as part of a design-build team.